If you've decided to take control of your finances this year, I'm sure you've seen the same advice everywhere. You absolutely need a budget. I'm not here telling you that's wrong, in fact, I've written many times about how important a budget is for families who want to become and stay debt free! That said, we can't just stop at saying that you need a budget without also giving you the tools to do it! If you sit down to an empty excel sheet, or you pull out a blank sheet of notebook paper, you're going to find yourself overwhelmed before you know it. To beat this overwhelm, you need something to help get you started and make sure you don't forget to budget for anything. So I decided to round up the very best personal budgeting templates for you to use! 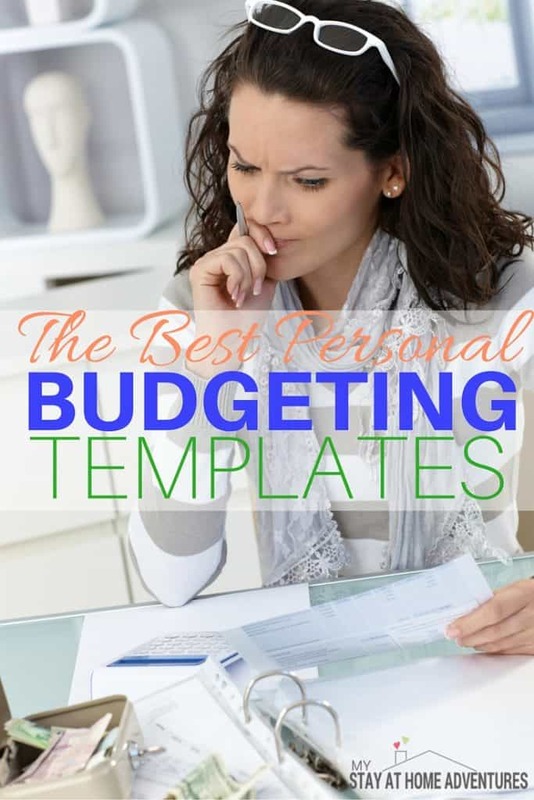 Some will be printables and others will be spreadsheets for excel or google docs, so whether you're a pen and paper person or a techie, you'll be set with this list of the best personal budgeting templates! This spreadsheet personal budgeting template from Purposefully Simple works for google sheets or excel. I love how detailed the categories are, plus it's color coordinated! Plus, there's even a feature that tells you what percentage of your income you're spending in each category! Perfect for those of us who love to analyze the numbers. This free printable personal budgeting template is super cute and colorful! I also absolutely love how the expenses are split into categories, so you can get a feel for where your money is going at a glance. In this post, Lena shares a free excel personal budgeting template spreadsheet! 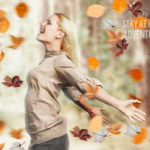 Lena was a CPA before becoming a stay at home mom and blogger, so trust me, this sheet covers everything! In addition to her own spreadsheet, she also shares a few with different features for you to check out! 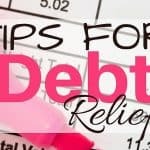 This post is awesome if you're looking to really get control over your finances in 2018! Abby has free printable personal budgeting templates that can all be used together to create a super cute and fun to use budget binder! This personal budgeting template not only covers a monthly budget, but it allows you to plan ahead for the whole year! This is perfect for saving in advance for things like car insurance that come around every six months. Plus, this excel spreadsheet template works with excel, google sheets, and open office calc! 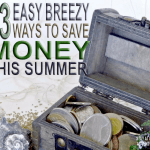 This post features not only one, but two free printable monthly budget templates for you to choose from. You also have the option of getting a template download that you can edit and customize to fit your family's needs exactly for only $0.99! If you're a person who loves spreadsheets, this is the site for you! Tidy Forms has put together personal budgeting templates to fit any payday schedule. This template is perfect if you're paid bi-weekly so that you know exactly which bills are paid with each check. Whether you're the type to love pretty printables, or you'd rather have a spreadsheet that helps to calculate everything, one of these personal budgeting templates will be the perfect fit for you and your family! What is your favorite personal budgeting template?